With over 70 years of company experience, we know that the right way to do business is to partner with our customers. We've worked across all verticals, giving us a wide range of in-house insights that we can contribute to your industry knowledge and business expertise. Our aim goes beyond completing your project—we want to deliver results that exceed expectations. That starts with reliable service, creative and strategic design, and honest, hard work. We’re a development partner; consider us an extension of your current team. We design, engineer, develop, produce, warehouse, distribute and handle logistics, making us an end-to-end solution provider. From our first call on, our customers discover the Tusco difference: we thoughtfully plan with our customers. Our approach to process and project management begins with our DARE methodology. Discovery — It all starts with an initial consultation. With this, we better understand your project needs and goals and start to map out our potential collaboration. Analysis — We examine the current state of your retail program and growth plans for future success. Using our industry experience, we gauge the fit between your needs and our capabilities. Recommendations — If the project isn’t a fit for us, we’ll point you in the right direction for meeting your specific needs with another supplier. If we can complete the project, we’ll make recommendations based on what we know to improve the engineering & designs. Execution — We'll carry out the manufacturing process, keeping you abreast of developments every step of the way. We'll also handle delivery to make sure our products reach you in top form. 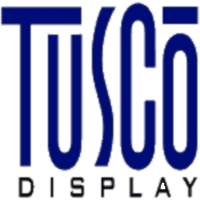 Tusco works nimbly and reliably. With our in-house capabilities across all aspects of project development and execution, we act at every step of the project. We can not only ensure top quality, but we can swiftly incorporate any project changes and developments as they arise. Rapid in-house communication means project details don't get lost, and high-speed responses are simply a natural part of our project flow. Learn more about our stance on project and program management — and how we can best serve you — by contacting us online or by phone.